We are excited to announce new summer courses! Get creative this summer with the Bagri Foundation Open Programme at The Prince’s School of Traditional Arts. Explore the symbolism and imagery of the Gate to the Garden of Paradise, create beautiful Ottoman borders, discover the decorative patterns from the Mughals or practice two forms of Arabic calligraphy with a renowned calligrapher. Join Virginia Gray Henry as she examines the symbols associated with the Gate to the Garden of Paradise, also known as the Defended Portal and how its imagery and symbolism have been depicted by many cultures, for more than 4,000 years. The ideas, drawings and illustrations of AK Coomaraswamy will be key reference points. Discover and create the beautiful floral patterns that adorned the borders of illuminated manuscripts and Islamic calligraphy with Azma Salman. Starting with Ottoman elements design principles for floral motifs, students will learn to design their own borders and paint them using traditional painting techniques. Explore the decorative patterns from the ateliers of the magnificent Mughals, examine their ingenious floral designs that adorned architectural monuments as well as printed textiles. 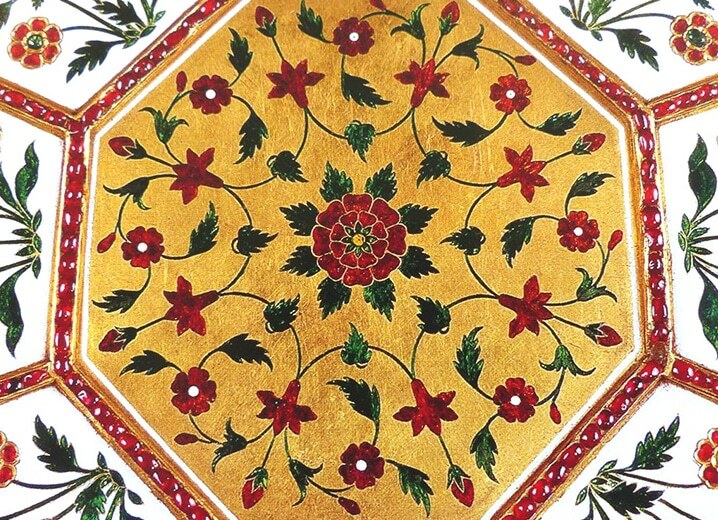 This course draws from diverse artistic sources: the heritage of Central Asia; the arts of the Islamic world and the rich indigenous traditions of India. We’re delighted to welcome back Master Calligrapher Dr Nassar Mansour for two courses on Arabic Calligraphy. Learn about Diwani and Squared Kufic Script with one of the most accomplished contemporary calligraphers in the Arab world. Find out about this cursive style, which was developed during the reign of the early Ottoman in the 16th century and reached its peak during the 19th century, and create a final piece in Diwani. Examine this monumental script which was developed in the 13th century and used on both manuscripts and buildings and popular in Central Asia, Iran and Afghanistan, and create your own Squared Kufic Script work.